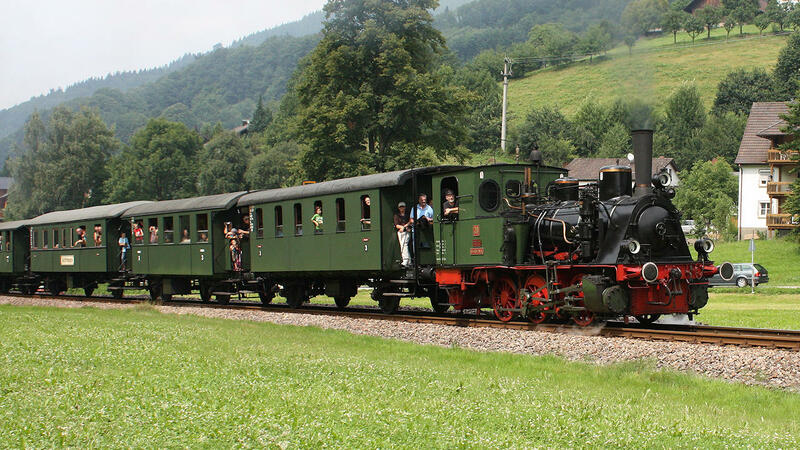 The historic train on Achertal railway is out of service since 30 June 2013. 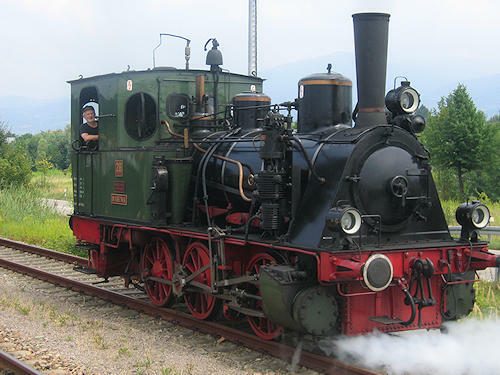 The Achertal railway was opened on 1st September 1898. The industrial enterprises based in the valley at that time had agitated for the construction of the route, as their survival depended on a rail connection to the Rhine Valley line. 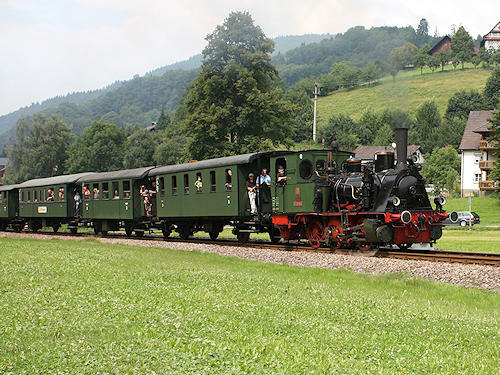 In addition to the normal passenger and goods traffic, an historical steam train also runs on the eleven kilometre long stretch between Achern and Ottenhöfen via Kappelrodeck (every second weekend from May to October) with carriages from the late 19th century and pulled by a small T3 series steam locomotive.